The Tempest featured the animation and video design of FRAY studio - Finn Ross & Adam Young. 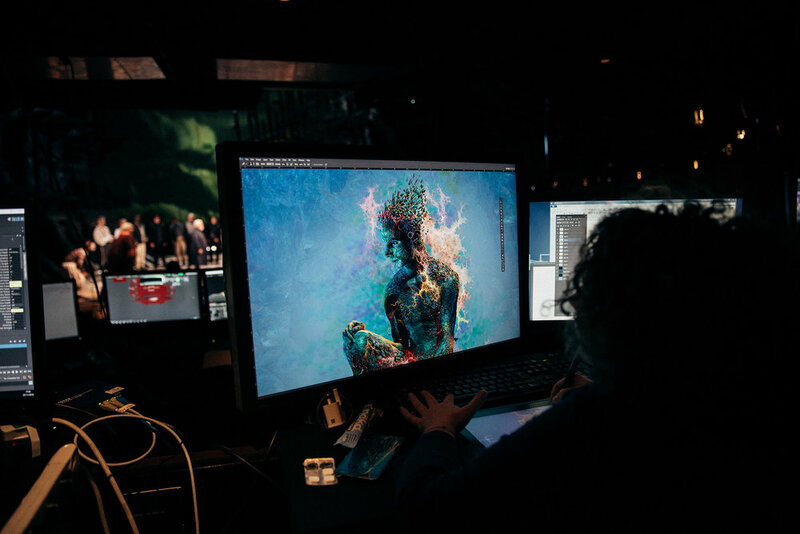 The Tempest was written to show off the theatre technology of Shakespeare’s day, the RSC set out to do the same. 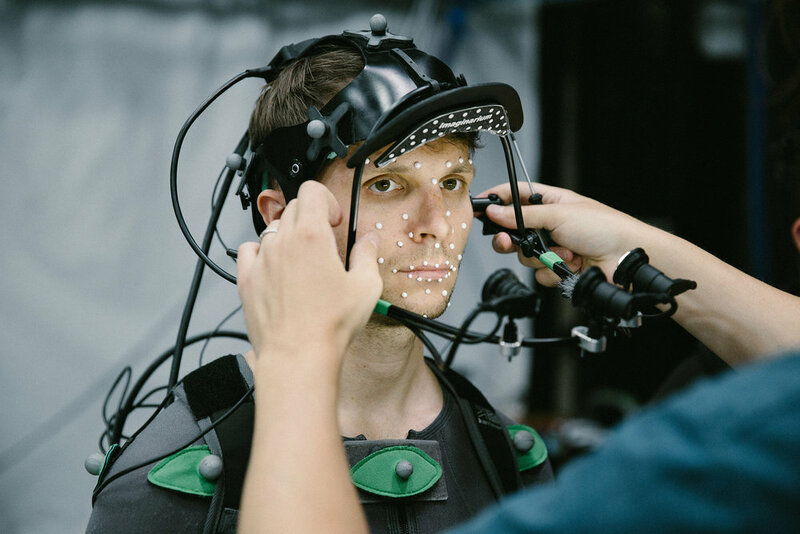 The text and performer are the focus of the action, we use video to build prospero’s magical world out from that point, without turning it into a computer game. Painted sky’s rush by, Hockney like corn fields fill the space and aurora borealis gently float by, all with the character of Ariel being rendered live on stage, driven by live motion capture. 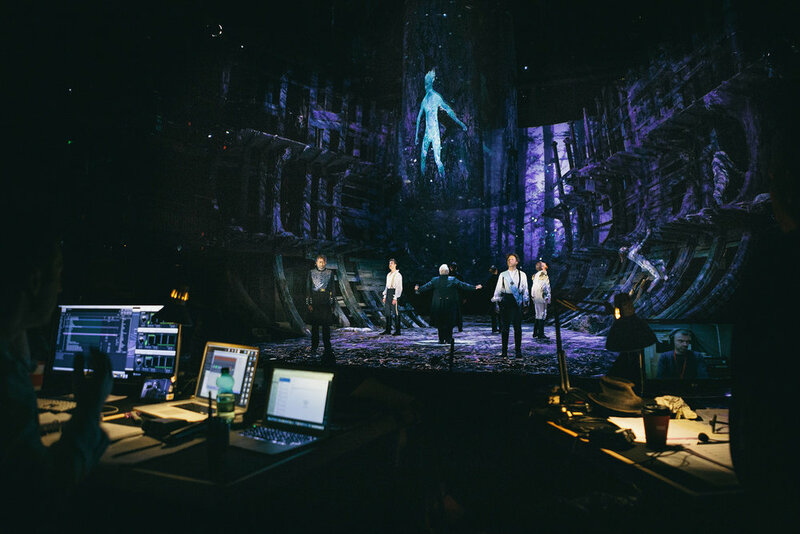 The show uses a mixture of video mapping, video tracking and live motion capture to build this world. There have been many shows that have had a great deal of projection throughout, Tempest is not new on that front, but what is exceptional about the production is how the massive video worlds we created on stage are all driven from the character of Ariel, they grow and build themselves in front of you and he as a character/video creation is part of those, and it is all very carefully balanced not to detract from the performers on stage but to support them creating a complete world of performer and video.